Re: French Alps Assassinations: KIDON ? Iranian execution of french scientist (the cyclist) family are collateral damage. Last edited by alfrombarking; Sep 9th 2012 at 10:31 am. Yup from the the daily groan for the thickos, some of us KNEW were were being told a load of old COBBLERS! "Surrey Satellite Technology Limited (SSTL) is the world's leading small satellite company, delivering operational space missions for a range of applications including Earth observation, science and communications. The Company designs, manufactures and operates high performance satellites and ground systems for a fraction of the price normally associated with space missions, with 500 staff working on turnkey satellite platforms, space-proven satellite subsystems and optical instruments." On behalf of Surrey Satellite Technology Ltd, Dr Matt Perkins, CEO has issued the following statement. I am deeply shocked and saddened to confirm that one of SSTL’s long-term contractors, Saad Al-Hilli, has been formally identified as one of the victims of the shootings which occurred in the French Alps. Saad worked at SSTL as a Mechanical Design Engineer from November 2010. Saad’s colleagues will remember him as an experienced and committed engineer who worked as part of a tightly knit team. He was a personal friend to many of our staff here. Saad will be greatly missed and our thoughts are with his family and loved ones at this very difficult and traumatic time. We are a close family at SSTL and our staff are understandably very upset by this event. I ask the media to respect their privacy as they come to terms with this terrible news. There will be no further statement. 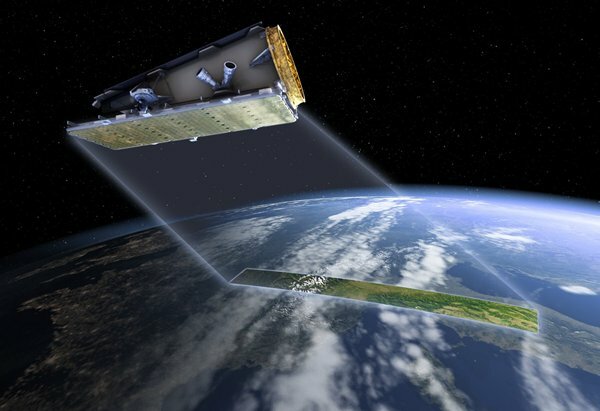 Surrey Satellite Technology Ltd. (SSTL) has plans to beef up planetary monitoring capabilities with its new NovaSAR satellite, and the company just received £21 million from the UK government to make it happen. NovaSAR works using synthetic aperture radar, so it can see through clouds (unlike optical satellites) and offers its services for £45 million -- or 20 percent of the cost of existing space radar platforms. With governmental funding in hand, SSTL can begin to develop and build its first such satellite, and the plan is to put it in orbit in two or three years. If NovaSAR does what it's been designed to do, SSTL hopes it can sell and launch enough of them so that any place on earth can be under its gaze in less than 24 hours. We're all for improving disaster relief efforts, but if you spy these sats overhead on a clear night, we recommend keeping an ear to the ground in case they're guiding an army of Alpha Dogs your way.
" He said another area French police may explore is whether a Middle Eastern group may have been involved. 'The Iranians, for example, are desperate to acquire cutting-edge technology which they cannot legally obtain. If somehow they were either getting it from Mr Al-Hilli, or hoped to get it from him and he refused, they would not think twice about killing him." Never miss an opportunity to bang the war drums against Iran. Would a guy with a job like that be out on holiday with his family, no bodyguards, etc? Exactly. Doesn't really seem the type for caravaning. Eh? Why would a scientist living in Europe have a body guard?? He was only a mechanical engineer and probably did something very dull like designing the bracket for the solar panels. Do you think the NASA rover guys all have bodyguards? On what basis do you conclude that? I doubt his job was that highly paid and the Alps would be a great place to tour in a motor home. He was a spy who was popped off the Dr Kelly killer. That is my (well, actually, my maids but I buy it) conclusion. My sister works for an Israeli satellite company. I hope she get's a bodyguard. Dont you worry Scamp, I keep a very close eye on your sister. No - I just meant that if alfrombarking's theory was right, he'd be under some sort of protection, surely? No way would Mossad create such collateral damage outside Palestine. The guy would have been whacked on his own if it was KIDON - if this was state sponsored (and it has that MO) it was by a pariah state that has no real friends and does not care who it upsets. The dead cyclist worked as a metallurgist for Cezus,an Areva company. Yes that Areva. 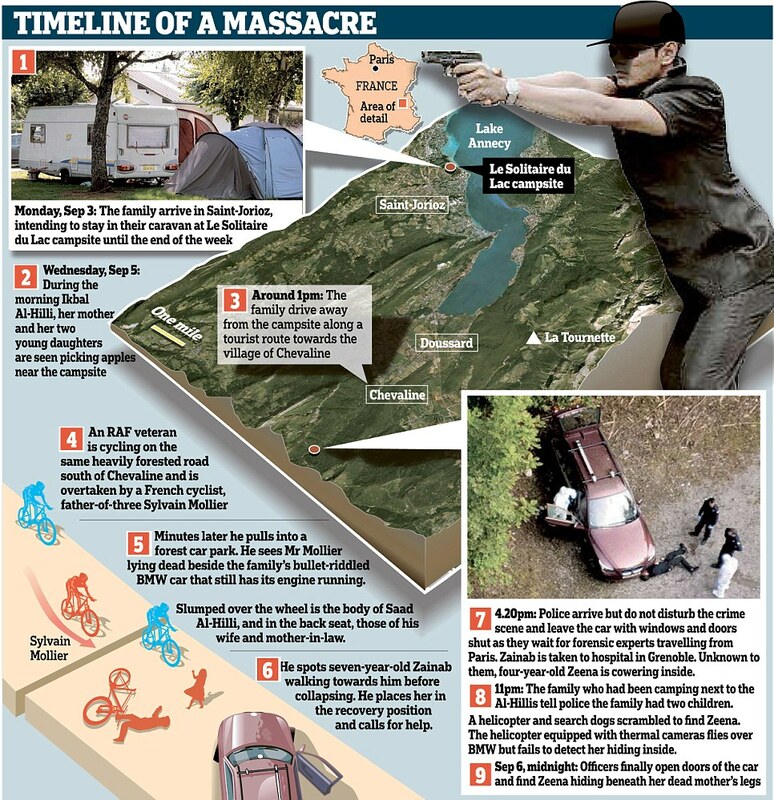 Le Messager reports that the name of the dead cyclist, according to its information, is Sylvain Mollier, from Ugine, approximately 16km from Chevaline. It says he worked in metallurgy for Cezus, a metal manufacturing company.